I do love a rice bowl meal. It is comforting, usually easy to make and it doesn’t hurt that I am obsess with rice! I was researching online on Colombian recipes and stumbled upon a gorgeous food blog by Erica which has a wide collection of Colombian recipes. 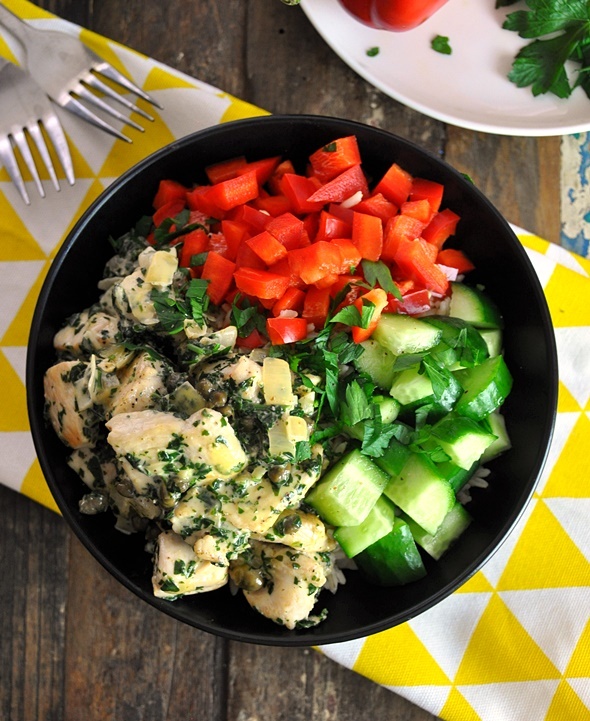 Among the recipes, the chicken with cilantro-parsley- capers sauce caught my eye and appetite. This recipe is like chimichurri meets decadence, in the form of cream sauce. 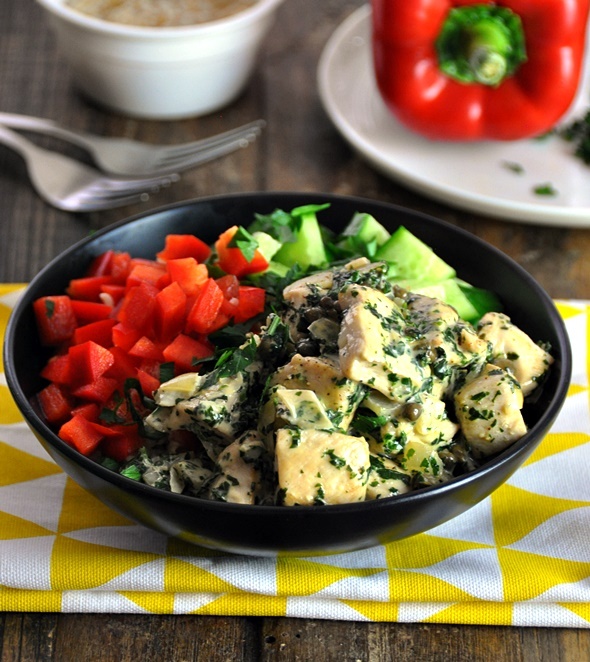 Yes, another chicken with cream sauce recipe! It’s pretty obvious that I am going a through phase at the moment ha! 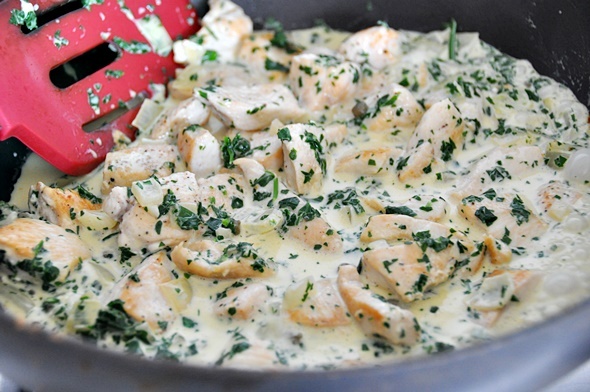 Capers, cilantro and parsley really add freshness to otherwise a rich and heavy cream sauce. To keep up with the fresh and light theme, I have added diced capsicum (red bell pepper) and cucumber for their crisp texture as well as the veggie factor. The rice I was using was brown rice just because they are better for you and I love the nuttiness which really ties all the flavours together. Cook brown rice according to packet instructions. 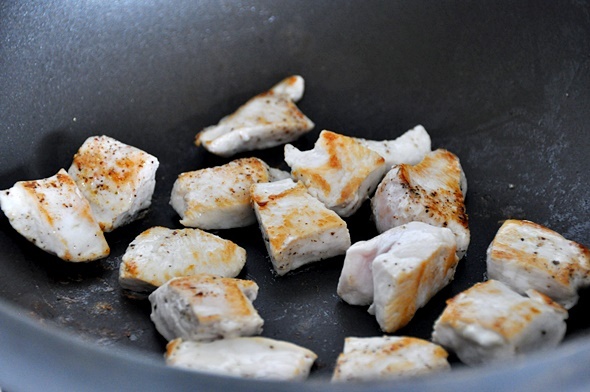 In the meantime, add a little oil to a large pan and brown chicken breasts with some salt and pepper. Set aside on a plate. In the same pan (add more oil if needed), sauté onion and garlic until the onion is translucent and the garlic is aromatic. 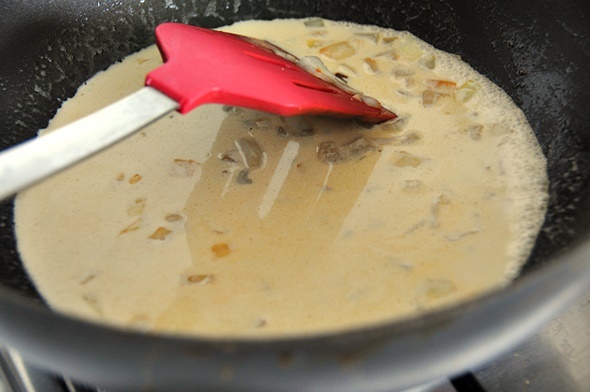 Add stock and cream to the pan. When the mixture is boiling, add chopped cilantro, parsley and capers. Stir well. When the mixture is boiling again, return the chicken to the pan to cook in the sauce. Check for taste and season with more salt and pepper if required. Turn off the heat and cover with a lid. In the meantime, dice the capsicum and cucumber. To serve, divide the brown rice equally into 4 bowls. Then do the same with the diced red pepper, cucumber and chicken. Serve immediately. I used a food processor to chop the cilantro and parsley, Hence, you may also need a small food processor.